Tuck got a new scabbard! Now theoretically the sword won’t just destroy magical objects left and right by just laying there. I like drawing little scenes like this. 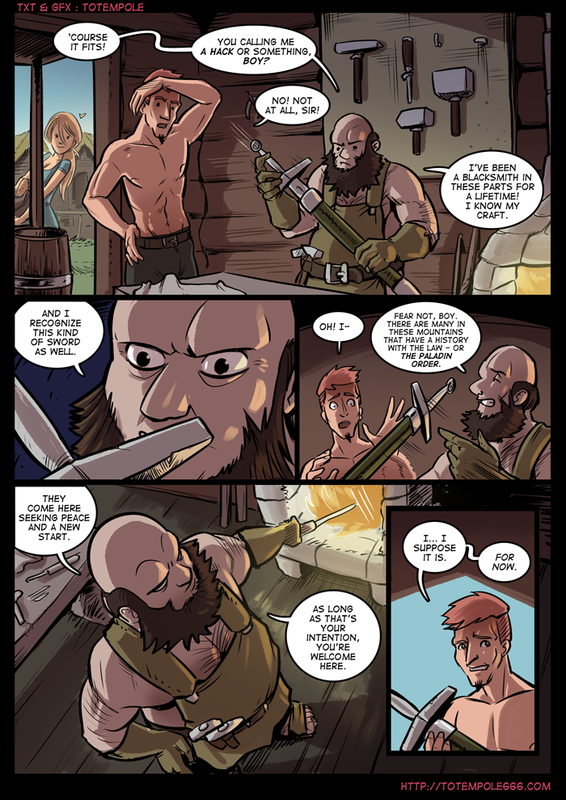 I get the feeling this blacksmith might have a ton of cool stories about this land far away from Silverspire. This is all the village near Vilga’s hut, by the way. You might recognize some characters in the next pages.